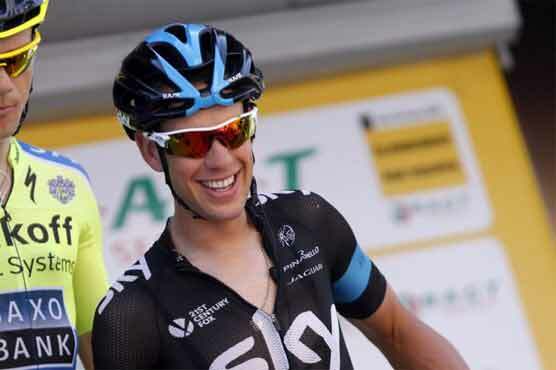 NICE, France(AFP) – Sky s Richie Porte asserted Sunday he feels in the form of his life following his second Paris-Nice title in three years. The 30-year Australian, who trailed leader Tony Gallopin by 36 seconds going into the final day s time trial, hopes this win can boost his confidence ahead of the Giro d Italia. “I wasn t sure I could win this Paris-Nice. I had lost time on Saturday,” Porte explained. And the Paris-Nice triumph will undoubtedly shore up his Giro d Italia team leadership stakes. “I am 30 now, my hair is getting grey. I am happy to be part of such a strong team”, he explained. Porte s personnal best on the Giro is seventh in 2010 when he topped the young rider classification and wore the leader s pink jersey for three days.